This article concentrates on how to get the best response and best herd immunity from your investment in vaccines. There are a number of factors influencing how an animal responds to a vaccine. 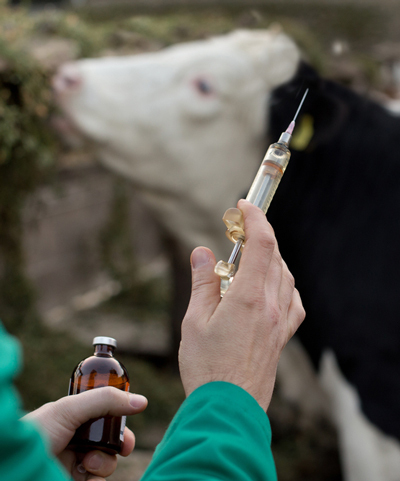 Vaccines aim to sensitise the cow’s immune system to specific infections so that it produces antibodies and recruits infection fighting white cells to remove the infection, without the animal showing disease signs. The following is a checklist of important factors which influence the success of a vaccine program in a cattle herd. Calving: Don’t vaccinate cows for at least 14 days after calving. A special note: calves that have been disbudded and vaccinated often get their first 7 in 1 vaccine at six weeks of age, and second dose before 12 weeks of age. 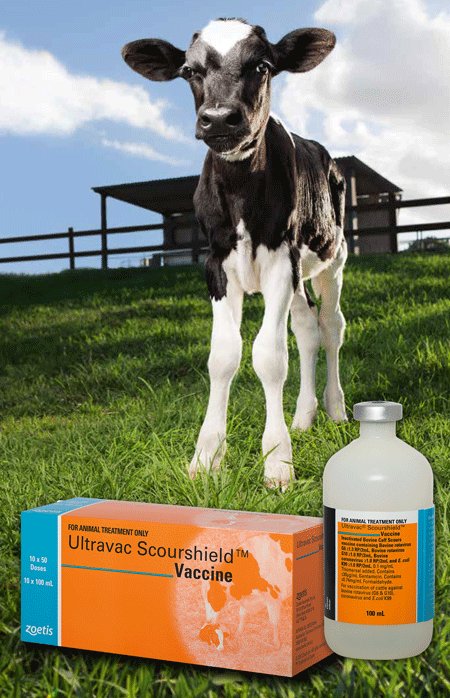 If two doses of 7 in 1 are given before the age of 12 weeks a third booster should be given once the calf is over 12 weeks of age. The first shot should be given at least 5 weeks before calving. The second dose (or annual booster dose) should be given 2-3 weeks before calving which corresponds to the time of maximum colostral antibody production . Gram negative bacteria in vaccines increase the risk of adverse reactions. Gram negative bacteria are present in calf scour and salmonella vaccines. Therefore don’t give these vaccinations on the same day and allow a week between them. It is also possible to overload an animal’s immune system, so it is best not to give more than two vaccines to cattle on the one day. In bulls vibrio vaccine and lepto vaccine (in 7 in 1) should be separated to reduce the risk of reaction, and a reduction in bull fertility. Some vaccines for the same diseases are better than others. One of the reasons why cattle are vaccinated with Ultravac 7 in 1 is to protect human health against lepto. Lepto is a debilitating disease in humans, and is a cause of reproductive loss in cattle. Only one vaccine, Ultravac 7 in 1, has a registered claim to prevent urinary shedding of lepto, which is the main source for human disease. When given at the correct times, vaccinated animals challenged by lepto bacteria will not shed lepto in their urine. Urinary shedding in incorrectly vaccinated animals, or vaccines that do not prevent this, can occur for the life of the animal. With most vaccines once the container is opened all the contents should be used, or any remaining vaccine be disposed of within 12hours of use. However some vaccines have a ‘broaching’ claim. This means they can be used up to a certain time period after the bottle is opened as long as they are stored correctly. For example Scourshield has a 63 day broaching claim which allows unused vaccine to be used for booster purposes. As each vaccine program needs to be tailored to individual herds, talk to one of our vets about what is the best vaccination protocol for in your herd. Call the Farm Desk on 5561 7666.